BOULDER COLORADO (6/12/18) — InDevR Inc. announced product release of the first ever commercial reagent kit designed explicitly for assessment of neuraminidase (NA) in influenza vaccines. 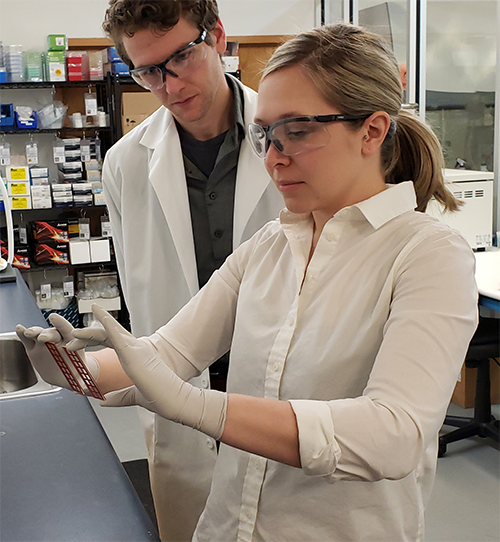 The new VaxArray kit is poised to help improve influenza vaccines by empowering manufacturers with a standardized method to meet current regulatory requirements and to prepare for future trends. The VaxArray NA kit is also expected to serve as an important new tool in the push for a more broadly protective or “universal” flu vaccine. The level of neuraminidase (NA) in flu vaccines is not currently regulated but its “presence and type must be confirmed by suitable enzymatic or immunological methods” during vaccine manufacturing. Since no standardized method exists, vaccine producers each implement their own approach and many use non-influenza specific enzymatic activity assays. The VaxArray Influenza Seasonal NA kit is based on N1, N2, and B-NA subtype-specific monoclonal antibodies arrayed for use in a simple, multiplexed immunoassay. The assay is quantitative, highly correlated with enzymatic activity, stability indicating, and has been demonstrated to serve as a proxy for immunogenicity (see Vaccine 36 (2018) 2937–2945).